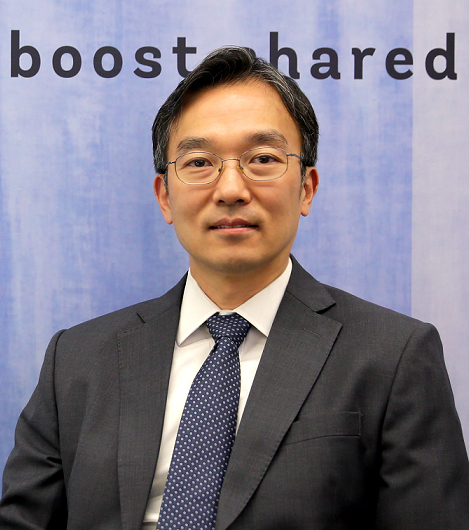 With the three-year extension of the World Bank Group Korea Office Trust Fund Agreement (2018-20), the loan-providing international financial institution’s office here will continue to leverage Korean experience to tackle sustainable development challenges worldwide, according to its Special Representative Soh Hoon Sahib. “The WBG Korea office can work with Korean stakeholders to help the latter participate in development projects throughout Asia and beyond,” he told The Korea Herald. Noting that the institution has thousands of staff working in 173 countries, Soh said the Korea office’s personnel can team up with colleagues worldwide to explore opportunities for Korean partners. The first phase of the agreement from 2014-18 covered a broad range of development partnerships and programs, particularly in finance and knowledge management. The second phase will expand the staff and resources of the Korea office to cover new areas of international development and develop new partnerships with Korean institutions and companies. Soh took the helm of the Korea office in August. He worked at the World Bank’s Beijing office for two years prior to his posting here, then working as a program leader for economic policies covering China, Mongolia and South Korea. A Stanford University economics Ph.D. graduate, he joined the bank in 2000. “In my nearly 20 years of working at the World Bank, I have been asked countless times by client countries about Korea’s development experience. The fact that Korea is one of the few countries that managed to successfully leap from a poor to an advanced, high-income country makes it a very attractive case study,” he said. Soh pointed out that South Korea in its early stages of the postwar period was able to escape poverty and nurture domestic industries by sharing the fruits of economic growth among its population, achieving relatively low income inequality. “At least in the earlier years of development, Korea’s growth was primarily driven by low-skilled, labor-intensive manufacturing industries and their exports, which turned out to be a comparative advantage,” he explained, adding the country managed to achieve a long period of inclusive growth. Soh highlighted that it was an area where the bank could do more work with partnering countries and institutions through capacity-building and knowledge-sharing. Specific issues, such as overcoming financial stress, as South Korea did in the aftermath of the 1997 Asian Financial Crisis, as well as nurturing human capital, are part of the portfolio. To combat climate change, the World Bank Group has ramped up its support for developing countries in line with the Paris Agreement goals and United Nations Sustainable Development Goals. In April 2016, the group adopted its Climate Change Action Plan to accelerate climate mitigation and increase the climate-related share of its lending to 28 percent by 2020. The group has made progress on implementing the action plan, often exceeding many of its targets. Over 32 percent of the group’s financing for fiscal year 2018, amounting to $21 billion, is geared toward curbing global warming.